August 22, 2006 - WASHINGTON, Penn. 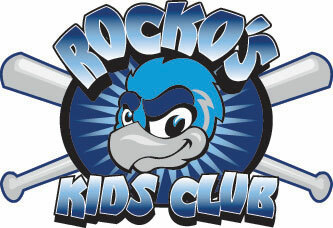 ­– The Rockford RiverHawks had been playing some of their best baseball of the season recently. That was not the case Tuesday against the Washington Wild Things. Rockford pitchers allowed 15 base hits and walked seven, fielders committed three errors, and batters struck out 11 times. The combination allowed the Wild Things to take the game, 10-4. Washington was far from flawless. The Wild Things committed four errors of their own and did give up 11 hits to the RiverHawks. Rockford took the lead early with three unearned runs in the first inning, but after cutting the lead to 3-2, Washington exploded for five runs in the fourth inning while sending ten men to the plate. Starter Dane Towery (5-7) was chased in that frame; he was charged with five earned runs on eight hits. The first five hitters to face reliever Beau Massey all reached base. The RiverHawks did not get an earned run until Gooby Gerlits hit a solo home run in the seventh inning. That was the only earned run given up by starter Matt Squires (9-5) who struck out 10 Rockford batters in the game. The RiverHawks have just one game left on this season-long, three-city, nine-game road trip. They will be on Washington on Wednesday for the rubber game with the Wild Things at 6:05 CDT. They return to Loves Park for a three-game series with the River City Rascals beginning at 7:05 on Thursday with another Miller Lite Thirsty Thursday and Armed Forces Appreciation Night.